4402 Whitewater Creek road is a 5,000 plus square foot two story Buchead foreclosure home with a finished basement. This large home features a wonderful kitchen, exercise room, wood-paneled office, dining room, living room, amazing solarium, enormous master suite with beautiful closets and his/hers bathrooms, a huge family/game room/media room, a darkroom, an awesome pool, plus a giant 3 car detached garage with a large studio apartment, above. It is priced to sell, immediately, at $999,900. 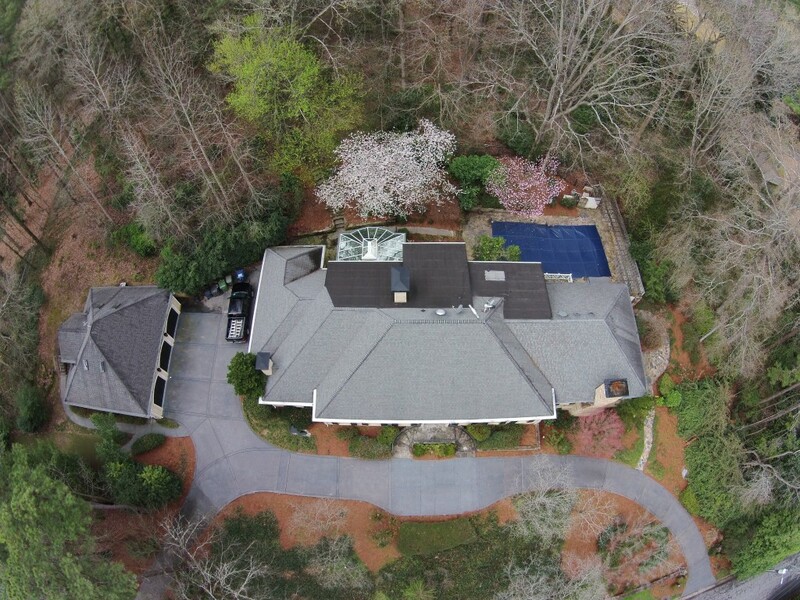 This Buckhead estate foreclosure home sits on almost 2 acres of land and is only 2 minutes to I-75 and Mt Paran Road. 4402 Whitewater Creek Road also is a 5 minute walk to the Chattahoochee River and some amazing hiking trails. It will not last long. To see the drone video tour, click here!